Two hours after the chequered flag flew at Sonoma Raceway, Josef Newgarden was still in Victory Lane taking photos with fans and Penske Racing team sponsors. He had just achieved a career dream and he was still soaking it all in. The new Indycar champion is 26 years old. 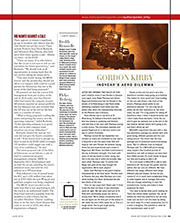 He drives for the most successful team in American motor sport. And now he’s a future star whose time has come. Newgarden is one of the lucky ones. Team owners Sarah Fisher and Ed Carpenter gambled on grooming a young driver and they helped turn him into Penske material. Once he got the call, the young man from Tennessee made the most of the opportunity. Newgarden defeated his three more experienced Penske team-mates and four-time Indycar champion Scott Dixon in a straight fight for the title. 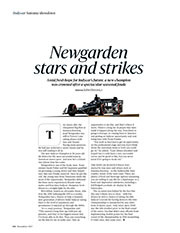 With fellow American Alexander Rossi, who won the 2016 Indianapolis 500 as a rookie, Newgarden has a chance to help a dynamic new generation of drivers build Indycar racing back to the level of popularity and prominence it enjoyed up through the 1990s. 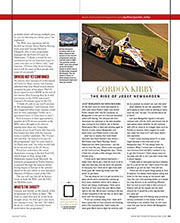 “It’s a crazy journey,” Newgarden said. “This started a long time ago with just my parents, and they’re the biggest reason that I’ve been able to do this. They put everything on the line for me to make sure I had an opportunity to do this, and that’s where it starts. There’s a long list of people that have made it happen along the way, from karts to going to Europe, to coming back to America and getting an Indycar opportunity and now being here with Team Penske. THE INDYCAR season finale had started in true stars and stripes style at Sonoma Raceway – in the fashionable wine country resort of the west coast. There are plenty of food and beverage options (assuming you are willing to pay $12 for a hamburger or a beer) and impressive sideshows, including a full-fledged acrobatic air display by the Patriot Jets. The occasion was helped by the fact that this year’s finale was so close – with five drivers in with a chance of taking the title. Indycar’s record for having down-to-the-wire championships is unmatched by any other form of motor sport. Only twice since 2005 was the title decided prior to the final round of the series, but that didn’t stop officials from implementing double points for the final round of the championship in 2014 (something F1 tried once, that same year). The double-points scenario helped Scott Dixon overcome a 47-point deficit to steal the title away from Juan Pablo Montoya in 2015. This year, the top four drivers in championship contention arrived at Sonoma with just a 34-point spread, with 100 points going to the race winner. Newgarden’s final margin was 13 points. One man not impressed with the finale’s scoring format was Indycar legend AJ Foyt. Not that it spoiled the race. 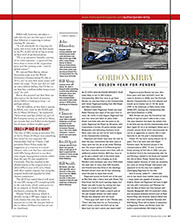 Arriving with all four of its drivers in championship contention, the Penske superteam fought off pesky nemesis Scott Dixon and Chip Ganassi Racing to claim a record-extending 15th Indycar championship since 1977. 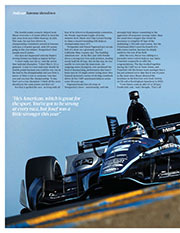 Newgarden and Simon Pagenaud put on one hell of a show on a gloriously perfect California Wine Country day. The budding American star – in his first year with Penske – drove a strong race from pole position, leading nearly half the 85 laps. 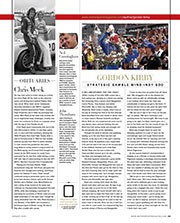 But on this day, he was unable to overcome his team-mate, the outgoing series champion, who produced the kind of mesmerising performance that hasn’t been seen in US single-seater racing since Alex Zanardi mounted a series of stirring comeback drives in the CART-sanctioned Indycar series some 20 years ago. Pagenaud made four pit stops to Newgarden’s three – intentionally, with his strategist Kyle Moyer committing to the aggressive off-sequence strategy rather than the usual three-stopper that would be necessary to complete 85 laps of the undulating 2.385-mile road course. But the Frenchman didn’t need the benefit of a full-course caution, because he simply outdrove the rest of the field. After the race, Moyer was talking to a journalist when retired Indycar star Dario Franchitti stopped by to offer his congratulations. 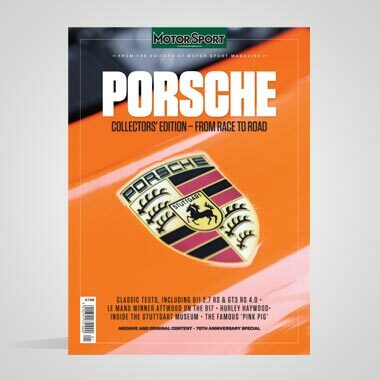 The duo worked together during the CART era at Team Green, and Franchitti told his former team manager that a fan just pointed out to him that it was 15 years to the week since Moyer directed the Scotsman to his first-ever oval track victory, on UK soil at Rockingham Speedway in 2002. Dixon fought valiantly, but was stuck for most of the day behind Penske racer Helio Castroneves (“It seemed like he just covered us,” Dixon said). The four-time Indycar champion finished fourth in the race and third in the standings, behind Newgarden and Pagenaud. THIS WAS JUST the third year that Sonoma hosted the Indycar finale and, as such, the venue is still adapting to the role. Indycar racing as a whole has struggled to find an appropriate venue to wind down the year’s activities, but California has been a constant for most of the last 50 years. The late and lamented Riverside Raceway hosted the last Indycar race of the USAC season in the late ‘60s. 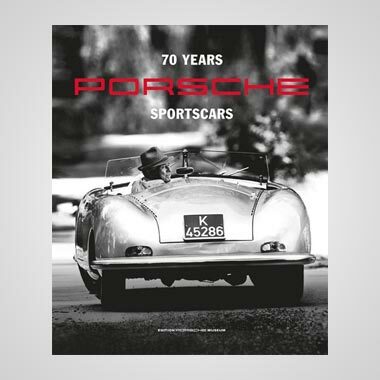 During the CART era, Laguna Seca Raceway (just 150 miles south of Sonoma in Monterey, California) settled easily into the finale slot, providing everyone involved in the sport with a glamorous West Coast destination to wrap up the annual campaign. Like many venues from Indycar racing’s most commercially successful days from the 1980s into the ’90s, Laguna Seca long ago disappeared from the scene, a casualty of the destructive fight for control of the sport between CART and what is known today as the IndyCar Series. In CART’s final years, the championship decider was transferred to the new California Speedway in Fontana, a state-of-the-art facility built by Roger Penske that is now owned by International Speedway Corp and now known by its sponsored name of Auto Club Speedway. There is a strong faction within the sport that favours ending the Indycar season on an oval track to reflect the sport’s heritage. Fontana hosted the CART finale from 1997 to 2002 and, after switching allegiance to the IndyCar Series, it again became the site of the championship-deciding event from 2012 to 2014. 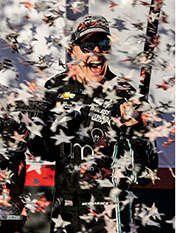 But for a variety of reasons, Indycar races struggle to attract crowds on oval tracks these days; Texas Motor Speedway, Chicagoland Speedway and Homestead-Miami Speedway all came and went as the venue for the final event of the season. Auto Club Speedway wanted an October race date and IndyCar insisted on ending the season in September to avoid clashing with the NFL football season. Exit Fontana from the Indycar schedule. Pitched into the brink was Sonoma. Owned by Speedway Motorsports Inc, which operates a group of predominantly oval tracks that make up a third of the NASCAR schedule, Sonoma is a professionally run track in one of the most prestigious regions in California. This is not a rustic outpost like the Mid-Ohio Sports Car Course, which remains state-of-the-art 1983. And if you happen to be there for the racing, Sonoma offers vantage points where you can see 90 per cent of the track, a rarity at road racing venues. Is all of that enough to ensure long-term success? Three years into the relationship, the signs are promising. The race day crowd continues to grow, and nobody in the paddock was complaining about wrapping up the season in one of America’s most desirable vacation destinations. The oval purists will continue to complain. But until IndyCar is willing to extend the end of its season into October or later, Sonoma is going to remain the site of the championship-concluding race for the foreseeable future. All things considered, that’s not a bad thing. The certainty that it will host the race has its advantages too. “One of the things I like is we’re coming back to the same tracks at the same time in most cases – what I call date equity, so you can count on the Indycars being back here at this time next year,” said Roger Penske. “That makes a big difference, and that’s how NASCAR built its strength. I’m seeing the attendance go up and I know that we have more people calling us wanting to get involved with the sport than we’ve ever had. Having a dynamic young champion like Newgarden can only help. With NASCAR currently in the midst of a dramatic changing of the guard, the time is right for Indycar to produce the next great American racing star. “A lot of the big names like Dale Earhnhardt Jr and some other guys are going away and retiring,” said Tim Cindric, president of Team Penske. 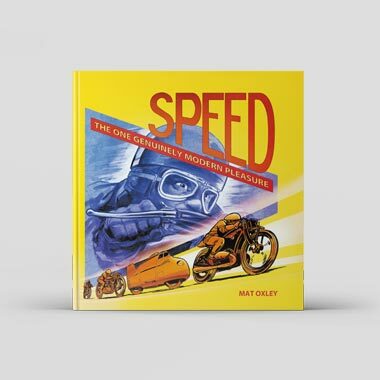 “There are already guys that are coming up, the Kyle Larsons, Ryan Blaneys and the Chase Elliotts of the world. BARRING AN unexpected change, the 2018 Indycar season will start on March 11 with the Grand Prix of St Petersburg, an event that has settled comfortably into the role of season-opener. Sonoma Raceway is working hard to earn the same kind of support as the venue to conclude the IndyCar championship. 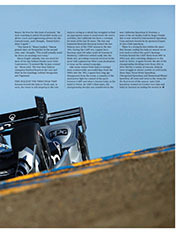 Oval racing purists don’t want to accept it, but the California road course – with a huge assist from Simon Pagenaud and Team Penske – delivered an exciting championship finish in a big way this year. The Indianapolis 500 will always be far and away the most important Indycar race, just as the season-opening Daytona 500 dominates NASCAR. 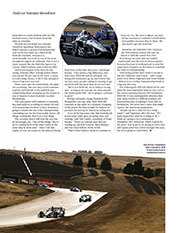 It’s an unchangeable situation that puts many tracks in a difficult position, yet Sonoma Raceway is making it work and, in Newgarden, the series has a name that might capture the American imagination.